Louisiana officials recently celebrated the completion of a project linking two interstate highways in the northern part of the state. Gov. John Bel Edwards and Department of Transportation and Development Secretary Shawn Wilson joined other state and local leaders at a ribbon-cutting ceremony Oct. 17 marking the opening of the Interstate 49 North interchange project in Shreveport. The $142 million project, which began in 2014, creates an interchange with I-220, which forms a partial loop around Shreveport. I-49 runs diagonally through most of Louisiana, from the Arkansas border in the northwest to Lafayette in the south. 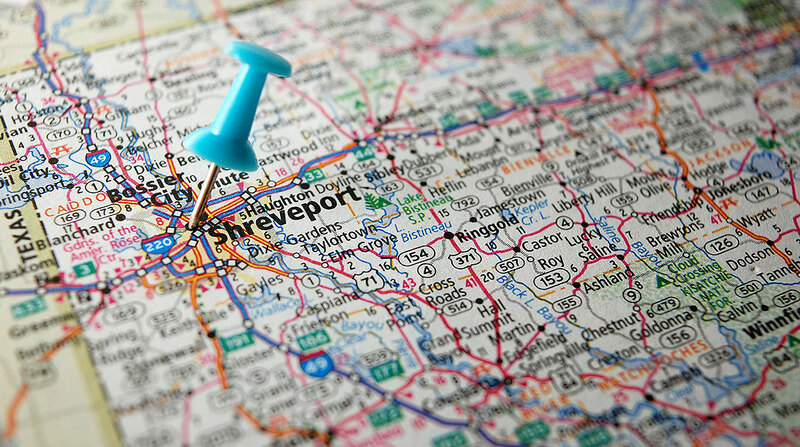 The interchange is part of LADOTD’s larger I-49 North project to expand the 36-mile portion of the interstate between Shreveport and the Arkansas state line. The project costs $650 million. Besides the interchange, the project included 6 miles of reconstructed lanes on I-220. According to LADOTD’s press release, 68,000 motorists traverse this segment of road daily. Eleven segments of the I-49 North corridor project have been completed since 2013, including the portion of road that links to Arkansas. LADOTD’s 2018 Freight Mobility Plan identifies I-49 as a staple for north-south truck movement throughout the state. The route carried more than 1.5 million tons of truck freight in 2012. “Since freight movement accounts for a large amount of the traffic on the interstate system, freight bottlenecks and congestion caused by freight traffic can have a dramatic impact to the efficiency of the interstate system and impact other users,” the agency’s plan states. LADOTD’s long-term plans for the interstate include extending the route farther south from Lafayette to New Orleans and farther north from Shreveport to Kansas City, Mo. Eventually, the route will connect with other interstates and form a direct link to Canada. Chance McNeely, executive director of Louisiana Motor Transport Association, told Transport Topics that this long-term goal of a cohesive corridor that connects New Orleans to Canada will change Louisiana’s perspective on international freight. I-49 is the primary north-south interstate in the western part of Louisiana. McNeely identified interstates 55 and 59, both of which are in the southeastern tip of the state, as other important north-south freight routes.